Very often I am desperate for recommendations on the next k-drama to watch. 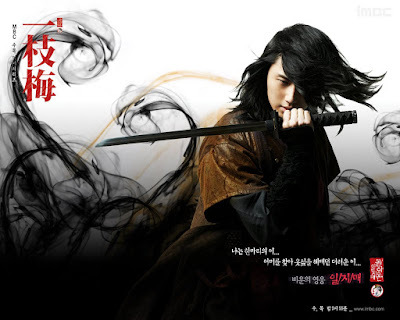 Thought I would share a list of popular sageuk 史剧 (Korean historical dramas), from my top 10 favorites to the ones that you watch to pass time. Enjoy! A Ratings Powerhouse is what I call k-dramas that are daebak with very high ratings (over 20%) when it was aired in Korea. Help spread the k-drama love by turning this into a group effort. If you would like to contribute your thoughts on a certain drama, contact us with a short writeup and we can include it directly in the post below. For 2013 - 2015 Korean period dramas, click here. For 2016 Korean drama recommendations, click here. Baek Dong Soo is the son of a courageous warrior whose family was left in shambles due to a conspiracy against Crown Prince Sado. He and his friend Yeo Un grow up under the tutelage of his father's friends who are each highly-skilled in martial arts. With unwavering determination, Baek Dong Soo vows to become a legendary martial artist while Yeo Un walks the path of an assassin. It is a 2011 k-drama that I'm watching in 2016 and I'm glad I found it. If you like this, you might like 2016 k-dramas Jackpot or Son's War to reminisce on the cast being partially reunited. Queen Seon Deok - a ratings powerhouse! This series is about Princess Deokman's journey against all odds to become Queen Seon Deok, the first female ruler of Shilla. Ko Hyun Jung plays the female strategist Lady Mishil who has beauty and brains. I'm at awe at how the good guys and the bad guys devise elaborate schemes to outwit each other. Really makes me wonder who comes up with these stuff!? Jumong - a ratings powerhouse! My Rating: Must Watch (5/5) This drama made waves in Asia, trust the hype! Jumong is the third prince of Bu Yeo but he is actually the son of General Hae Mo Su, a hero who fought against the Han to save the refugees. Upon learning the truth, Jumong vows to fulfill his father's dream and with the help of Lady So Seo No, he succeeds in overcoming all obstacles to become the first king of Goguryeo. Fun Fact: The character who plays Jumong's mom is the same age as the character who plays Jumong in real life, both were born in 1971! The Legend - a ratings powerhouse! Synopsis: Damdeok is destined by the heavens to become the great king of Goguryeo. He loses his father, his lover and he is cast out of the palace. Damdeok must search for the four gods who will help him rebuild Joo Shin. During Damdeok's journey, he meets and falls in love with Sujini, a cheerful young girl. Will she turn out to be the black phoenix that has been foretold to destroy the world? 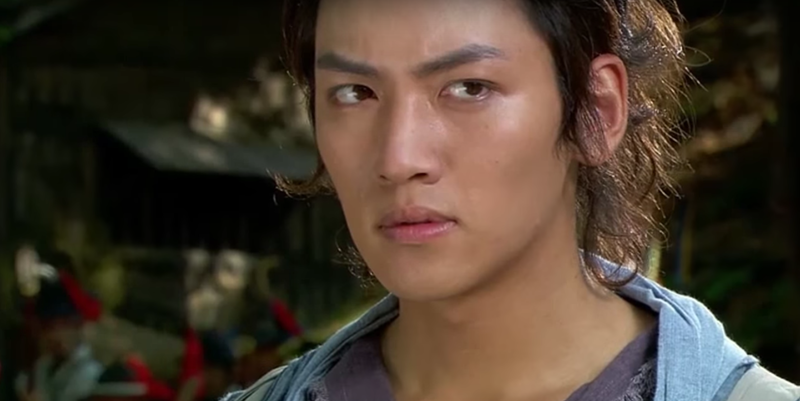 Comments: My first Sageuk drama and I never looked back. 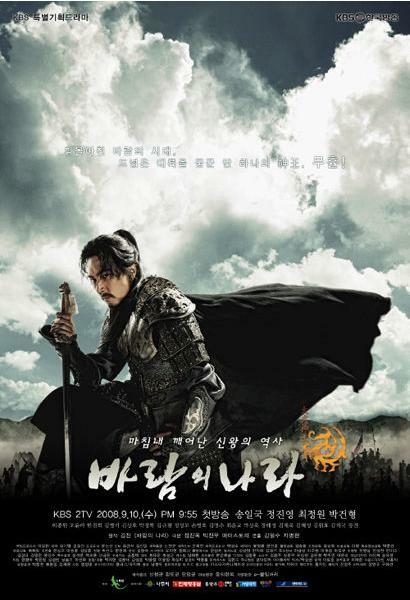 Synopsis: Hong Gil Dong is the Robin Hood of Korea, stealing from the rich to provide for the poor. The film depicts Hong Gil Dong's back story as the illegitimate son with no goals and no future and his transformation into the hero that we all know. Comments: Funny, quirky and very entertaining. You gotta download If (Man Yak Eh) by Taeyeon, a beautiful song. The Moon That Embraces the Sun - a ratings powerhouse! 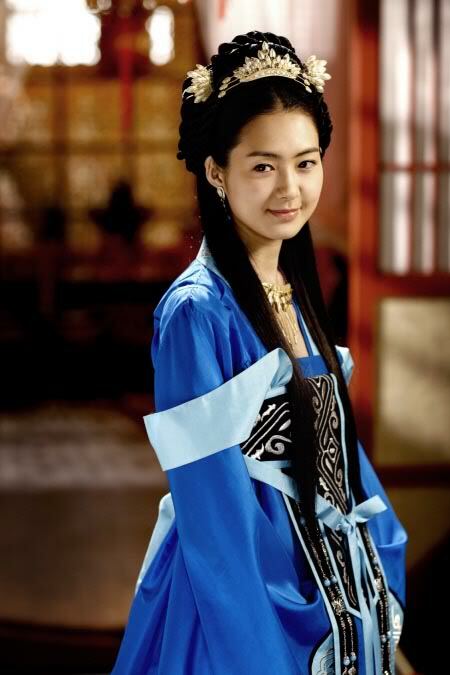 Synopsis: Heo Yeon Woo was intended to be the King's wife but due to palace conspiracies, she almost loses her life. After many years, she comes back as a shaman Wol without her memories and she meets the King once again. Synopsis: Set in the 1930s when Japan invaded Korea, Lee Kang To puts on a mask as Gaksital to save those who are oppressed and to fight for freedom. 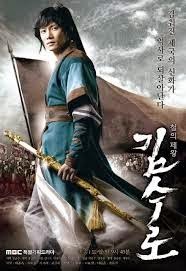 Synopsis: Choi Young is one of the King's strongest warriors. Bound by duty, he travels to the future to search for a great doctor who will save his queen. In present Korea, he meets Yoo Eun Soo, a cosmetic surgeon, and brings her back to ancient Korea. Synopsis: Arang is a ghost who must uncover the mystery of her death. She meets Kim Eun Oh, a man who can see ghosts and they end up falling for each other. Comments: I'm always up for fantasy and this drama lived up to expectations. Synopsis: Kim Boong Do, a noble scholar, unexpectedly travels into the future and meets Choi Hee Jin, an aspiring actress who secured the role of Queen In Hyun. Will their love transcend through time? Synopsis: Ji Sang inherited his father's powers as a seer and he must now fulfill his destiny to overthrow Goryeo Dynasty and help Lee Sung Gye become the first king of Joseon. (There's a lot of feng shui elements in this drama). 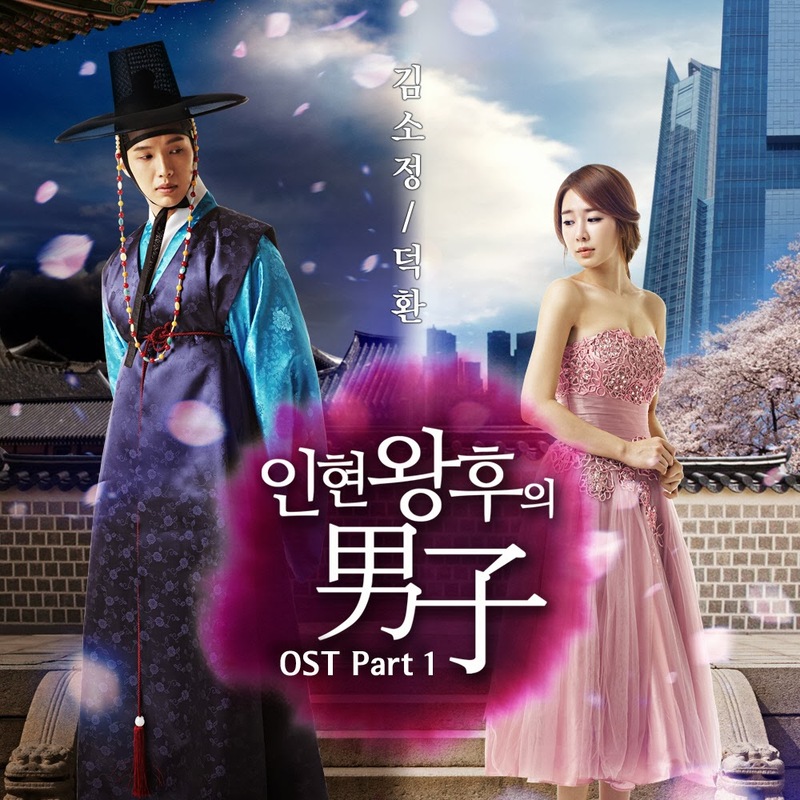 Synopsis: This drama is about ill-fated lovers, a classic Romeo and Juliet story set in a Korean period drama. Synopsis: King Sejong hopes to promulgate Hangeul (written korean words) but he faces opposition both seen and unseen. He enlists the help of Kang Chae Woo and So Yi who are willing to risk everything for the cause. Synopsis: Chun Doong and Gwi Dong were switched at birth and grow up living each other's contrasting lives as a nobleman and an outlaw. Kim Soo Ro is the head of the Geumgwan Gaya and this drama is about his rise to power. Comments: There's sibling rivalry and lots of angst from a mother who did not know that the man she torments is actually her first-born. Plots like these never get old for me but I was a bit disappointed with this one. Dong Yi - a ratings powerhouse! Dong Yi is strong-willed and intelligent. She makes her way to the palace and wins the heart of the King. Kim Yoon Hee disguises herself as a man in to attend Sungkyunkwan University where she forms a bond with fellow students Lee Sun Joon and friends. Chuno - a ratings powerhouse! Kind-hearted Lee Dae Gil is from a noble family and he falls in love with the family's slave Un Nyun. Enraged, Dae Gil's father leaves Un Nyun to die without food or water. Un Nyun's brother burns Dae Gil's house in order to escape with his sister. Dae Gil who loses everything lives on the streets and his hatred leads him to become a slave hunter. Despite everything, Dae Gil is still searching for the love of his life, Un Nyun, who has taken on a new identity as Kim Hye Won. What will happen when the paths of slave hunter and runaway slave cross again? Despite the high ratings, I was getting bored with the chase between slave hunter and slave because they kept missing each other just one too many times. Overall, it was still a good story though. Synopsis: The main character Moo Hyul is the third prince of Goguryeo. With his birth comes the prophecy that he will destroy Goguryeo, kill his parents, his brother and his son. The curse dictated Moo Hyul's tragic fate. He was sent away from the palace to live life as a commoner. Moo Hyul must face all trials to gain acceptance from his father, his people and his enemies as he journeys to become the King of Goguryeo. Comments: In case you don't know, Moo Hyul is Jumong's grandson. Princess Ja Myung and Princess Ra Hee both fall in love with Prince Hodong of Goguryeo. Princess Ja Myung is destined to protect her country but destiny foretells that Prince Hodong will cause its demise. How will their fates be intertwined? Boring at first, picked up pace beginning episode 20 and from then on, I was hooked. Had major drama withdrawals after watching the ending and I can't help but think that Ja Myung indirectly caused the whole tragedy. Prince Hodong decided to attack Nang Nang after Ja Myung left him. She keeps hurting him in an attempt to avoid the future but it just pushes him to do otherwise. Isn't it ironic? I usually dislike endings such as this one but it felt fitting in this case. After dedicating his life to becoming king, Prince Hodong finally made a choice. Iljimae - a ratings powerhouse! Iljimae is a legendary thief who steals from the rich to give to the poor, but behind his actions is an even greater purpose. Every place that Iljimae robs brings him closer to his father's killer. It's a sageuk (ancient Korean drama) that seeks to appeal to mainstream Kdrama fans and I think it worked. I really liked Iljimae and then I find out that MBC came out with the Return of Iljimae in 2009, just a year after the original one in 2008. Don't mistake it for a sequel because it's not. In fact, the Return of Iljimae is supposed to depict the actual story. I gave it a try and I must say, it was too boring. Either I've become biased or the Return of Iljimae really wasn't good. Lee Na Young grew up as a noble until her family was charged of treason and she became an assassin to avenge her family. Park Sang Kyu and Yang Man Oh share the same dream for Korea but they are going on separate paths to achieve their purpose. When they finally meet their long-lost friend Lee Na Young, everyone becomes entangled in a political conspiracy. 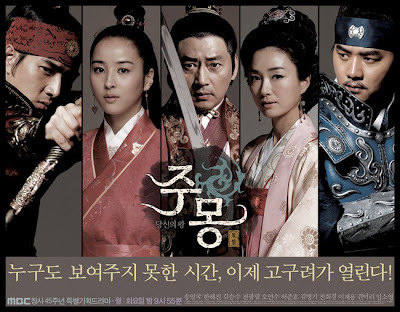 This drama is a dark suspense-type sageuk (ancient Korean drama). It didn't garner a substantial following but I've been reading ravings reviews about it. Unfortunately, I don't share the same sentiments. Perhaps my capacity for deep political thrillers is non-existent but if you're into that kind of thing, you might like this drama. My Rating: Downright Boring (1/5) This is another drama that I couldn't finish watching. Chil Woo's father fought for the freedom of slaves but he was betrayed and died before Chil Woo's eyes. Chil Woo grew up believing that trying to change the world will only lead to death. He becomes a police officer who only thinks of himself. 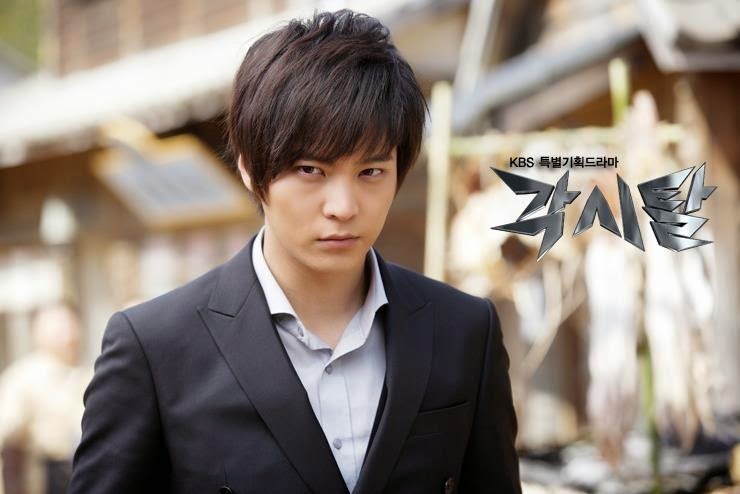 However, his sister's death changes Chil Woo and he devotes his life to becoming a vigilante. Synopsis: Jang is the illegitimate son of the Paekche emperor. Due to the nature of his birth, Jang and his mother had to flee the palace thus beginning the story of Jang's life, full of difficulties and hardships until he finally succeeds in becoming the Paekche emperor. Fun fact for you: the child version of princess seonhwa was played by Sulli from kpop girl group F(x)! And Koo Hye Sun from Boys Over Flowers was also in it. Yi San - a ratings powerhouse! Synopsis: This drama is bout the life of Korea's 22nd King, King Jeong Jo. Comments: I tried to give the 77 episodes a shot but failed. The series feels like a history book filmed into a drama and I'm not saying that it's bad. In fact, this drama received good ratings in Korea so it must be well-made if you're into that kind of thing. My dad would probably like it. 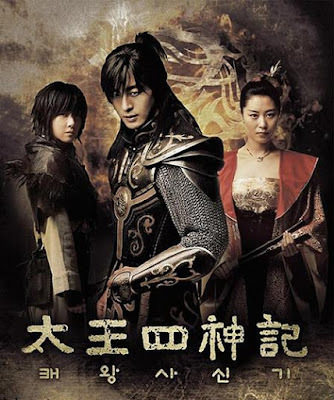 Synopsis: This story is about a tragic romance between General Ari and Princess Puyeo-ju who could not be together in their past. A sudden twist of fate brings Princess Puyeo-ju one thousand years into the future. She meets General Ari once again who is now a fashion designer in Korea. But destiny also leads them to meet General Kim Yu-suk who killed General Ari because of his love for Princess Puyeo-ju. Will their outcomes finally be reversed? Jewel in the Palace - a ratings powerhouse! Synopsis: Jang Geum is the first woman to become a supreme royal physician. Her story is about overcoming society's prejudice and achieving success. Comments: Everyone loves an underdog, which is why I think this drama did so well and there's also her forbidden love with the king and that's always intriguing. Hi, thanks for the links! Unfortunately, it seems like Episode 10 and 11 are the same. Thanks;) haven't updated this section lately as I've been watching ancient Chinese period dramas. If u have any korean historical drama recommendations would love to hear abt it. Update when you can and keep up the great work. I've found Shine or Go Crazy an entertaining watch. Would love to hear your thoughts when you have the time. HI S - I'll add it to my watch list. Thinking of watching Splash Splash Love which is only 2 episodes. Have you seen it? Yep I've watched Splash Splash Love and thought it was a fun mini drama. I'm checking out The Merchant: Gaekju right now. Quite annoyed with it but made it to the end. Ooh I have arang and the magistrate above too just below faith :) have you seen Jumong, Queen Seon Deok and Legend, i highly recommend those 3. Ja myung go is like the best one for me, I don't know why but I didn't even feel bored at the beginning... But I am also a Jung kuyng Ho fan, so it's kind of a biased feeling... Anyway thanks for the ideas, I actually began some but never had the feels for them, I will try again! Hi, Love watching period dramas, looking for a specific one just saw the beginning of it but can’t recall the name. If anyone can help will be gratefull.Started off where it was a brother and sister, he was taken away she drew a portrait of him, later on she used old non used paper from the artists to draw, she mixed the paints and then drew a mythical hooved chimerical creature for the Ming ambassador who fist wanted her instead of a concubine. Yi San. The little girl was separated from her baby brother who later shows up towards the end of the series. She becomes a consort wife to the king, supposedly his true love. Her name was not Dong Yi, that's another series. Her name was Seong Song-yeon and the actress who played her was Han Ji Min. Great series, great actors!